This cinnamon buttermilk pie is an adaptation of Filipino egg pie. Pumpkin pie. Pecan pie. Sweet potato pie. I’m sure those would be included in the top answers for Thanksgiving pies on an episode of Family Feud. However, in my personal ranking system, custard pie would be number one. Custard pie was something we always had during the holidays. If you search for “Filipino egg pie,” you’ll get an idea of the kind of custard pies I loved as a kid. I grew up eating many, many (probably way too many) slices of egg custard pie. It’s traditionally made with evaporated milk, eggs, sugar, and sometimes a little calamansi juice/zest to brighten it up. To make this pie more suited for traditional Thanksgiving flavors, I swapped in cinnamon for calamansi and buttermilk for evaporated milk. The resulting cinnamon buttermilk pie is magical. I love the sugary crust that forms at the surface of the pie. It protects and encases the silky, creamy pie filling. 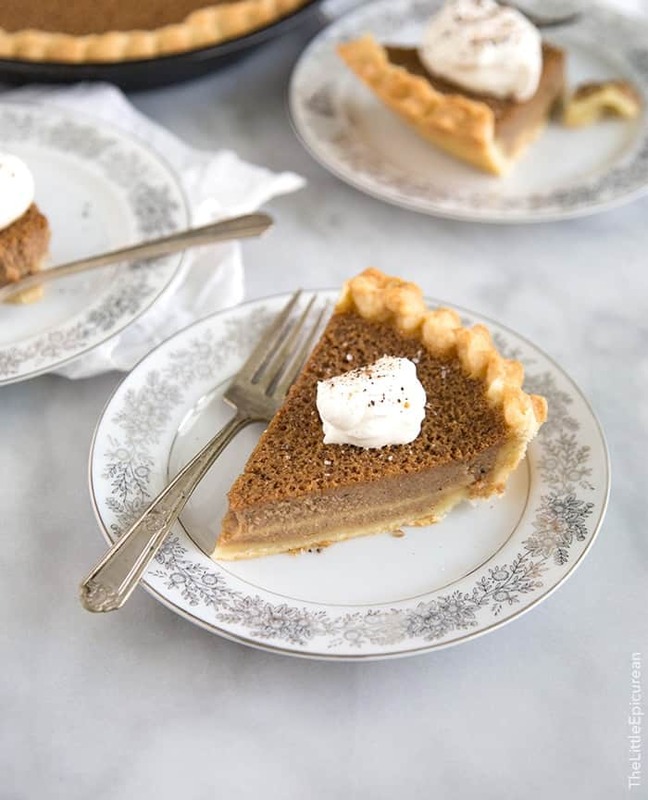 The tangy buttermilk ensures that this pie isn’t too sweet. The burst of cinnamon with each bite screams autumn and sweaters and warm mugs of tea. 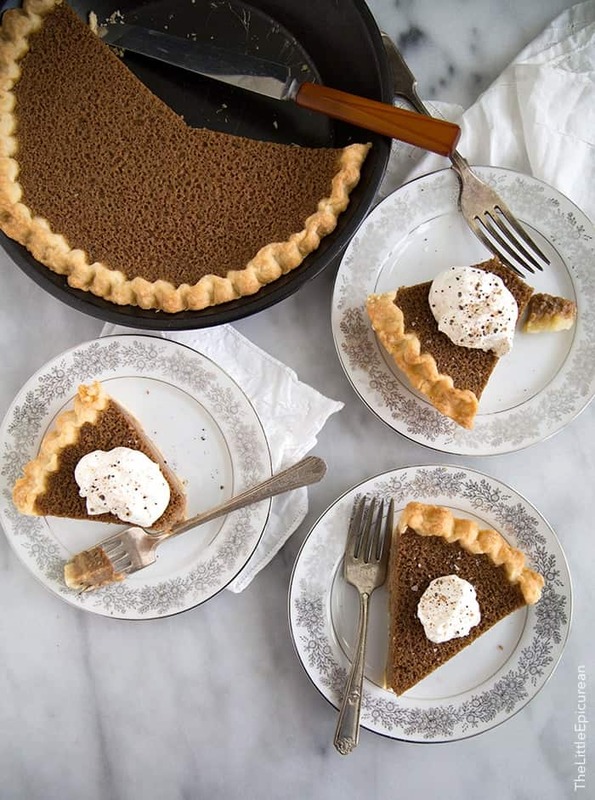 I like to serve this pie with a dollop of fresh whipped cream and a sprinkling of nutmeg-cinnamon sugar. It may not be exactly like the egg custard pies I ate as a kid, but it’s just as delicious and comforting. Desserts don’t need to be complicated to be delicious or unforgettable. This cinnamon buttermilk pie proves that. The filling can’t be any easier to make. You simply whisk all the ingredients together and pour it into the pie shell. Yes, it’s THAT easy. The hardest part about pie making isn’t making the dough from scratch, it’s waiting for the darn pie to cool. 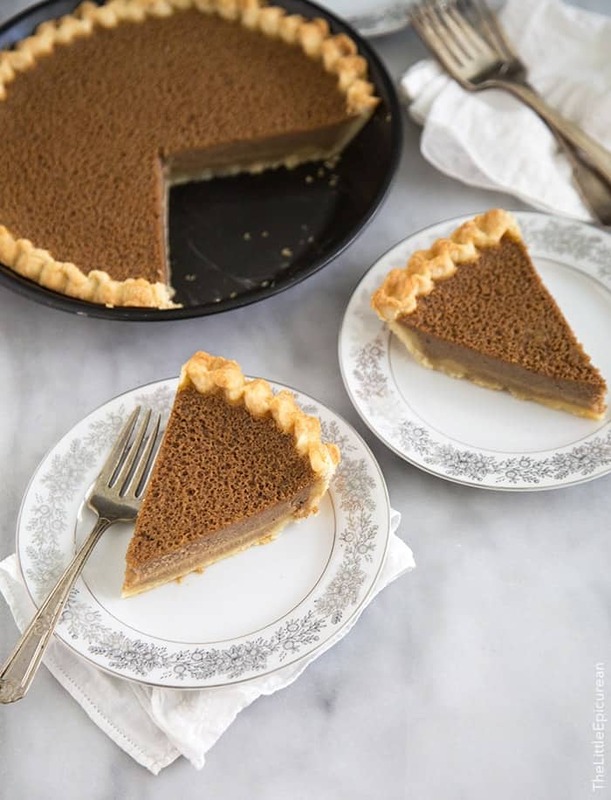 Practice patience and allow the pie to cool to room temperature to ensure nice clean slices. Once the pie has cooled, go ahead and eat as many slices as you want! Roll dough on a lightly floured work surface. Roll to about 10-inches in diameter and about 1/4-inch in thickness. Place pie plate upside down over the rolled dough to make sure it is the correct size. Transfer dough to pie plate and firmly press into the bottom and sides of plate. Trim excess dough leaving about 1/2-inch overhang all around. Fold overhang into the pie and flute the edges with a fork, or crimp with your fingers. Cover pie dough with plastic wrap and let rest in the refrigerator while you prepare filling. Preheat oven to 350 degrees F. In a large bowl, whisk together eggs, yolk and brown sugar until smooth. Add buttermilk, melted butter, flour, vanilla, and cinnamon. Whisk until combined. Pour mixture into prepared pie shell. Bake for 40-50 minutes until center of pie is set and no longer jiggly. Remove from oven and allow to cool to room temperature on wire rack. Alternatively, store pie in fridge to cool faster. Serve with whipped cream. Pulse together flour, salt, and sugar in a food processor. Add cold butter a couple cubes at a time with the food processor running. Stop the machine once mixture is crumbly and like coarse sand in texture. Add 2 tablespoons of water and yolk. Pulse for a couple seconds until dough begins to come together. If dough is too dry, add another tablespoon of water. Remove dough from machine and finish kneading on a lightly floured surface. Flatten dough into a disk and wrap in plastic wrap. Chill in the refrigerator for 20 minutes or freeze for 10 minutes. That is one beautiful pie girl! Yes, yes, YES! A thousand times yes to this pie! Oh yes, oh yes. 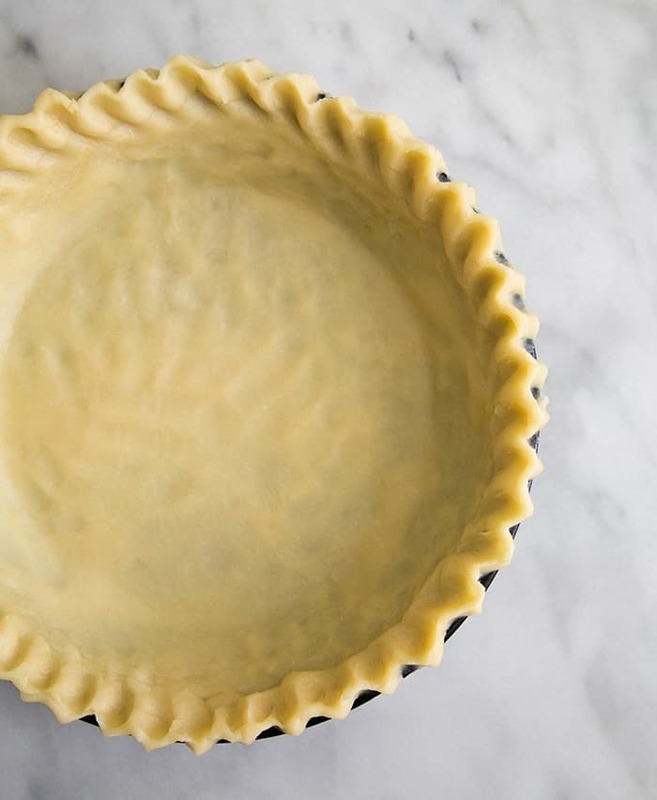 Teach me your pie crust skills, yours looks like perfection! I know I would love this pie! I like the sound of your pie crust recipe too so am pinning for later. It looks like perfection. What a neat idea! 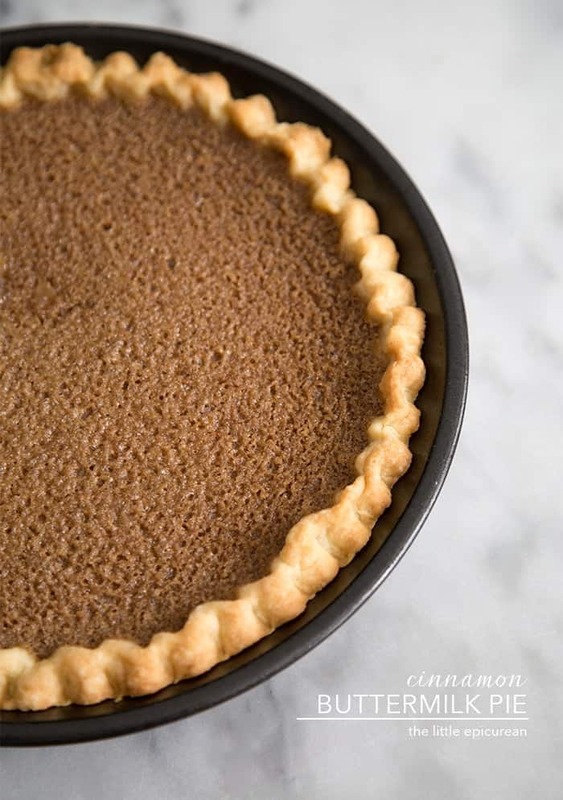 I <3 cinnamon and simple pies- I'd love to try this one! cinnamon pie. I made it tonight, and after the agonizing cooling period, just inhaled a slice. It tasted great- but I’m not sure if it came out correctly. Two quite distinct layers formed during baking- an eggy bottom one, and cinnamonny on top. It’s hard to tell if yours are like that from the photos. Thanks! Hi Meghan! Thanks for trying out the recipe. yes, the layers do separate a little during baking.